Enjoy the most beautiful sunsets in the world. Fish off the jetty just down the beach. Step off the elevator and onto the white sands of Madeira Beach. This fully-equipped condo is located on the beach directly across from the famous John's Pass Village and old time boardwalk. John's Pass features great restaurants, shopping, live entertainment, fishing charters, snorkeling, shelling, dolphin watching, parasailing, jet-ski rentals, diving, and dinner/casino cruises. Our condo features a king-size bed in the master bedroom and a queen-size bed in the second bedroom. Living room and master bedroom have sliding doors to the large balcony.. Secure key entry elevators.We are located on the beach, 2nd floor and our view faces John's Pass. We are located just 90 minutes from the Walt Disney attractions; 30 minutes from Busch Gardens and Tampa Aquarium; as well as 20 minutes from St. Petersburg Pier. Trolley in front of building runs from Clearwater Beach to St. Petersburg beach.Bus to malls and area in front of bldg. 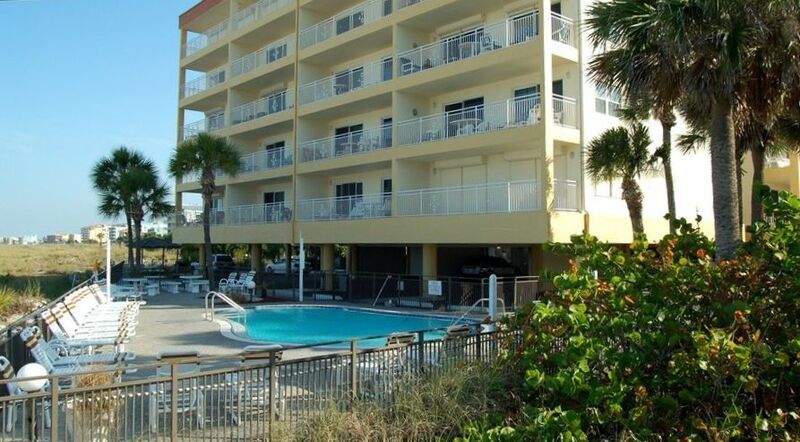 Condo is right on the beach but the balcony overlooks Johns Pass. Very nice/clean condo. Owner had just about everything you need for a day at the beach including fishing poles and boogie boards. Area was very quiet in the evening and very relaxing. Will definitely rent again. excellent property , location and facilities! easy to access with good additional parking. great stay, would definitely recommend. one criticism is the payment method, I did suggest alternatives but the host wanted cheques... this involved 2 trips to the bank incurring extra charges... plus recorded delivery charges... and to compound this the deposit was refunded in dollars which again involved a one to one at the bank and an extra charge for my trouble... would have been avoidable with simple bank transfers so did sour the over all satisfaction! We stayed here in July and absolutely loved this place! It is equipped with absolutely everything you need!! The beds were comfortable, nice linens, plenty of bath and beach towels. The beach equipment was in great condition including nice chairs, coolers, umbrella, toys and beach games. The kitchen is fully stocked with everything you need to fix a nice meal. We had 2 little ones so being across the street from Johns pass we could walk across the street for ice cream, dolphin watching, the candy store was great as well. Would definitely stay here again. Great for those traveling like us by plane and unable to bring much:). The sunsets at night were awesome and the ease of being beachside avoids crossing the busy Gulf Blvd. Great location and well equipped. Walking out to beach right there was perfect. Would recommend for beach property, location and price.